Mark McGrain, trombonist, composer, producer, and leader of the jazz band Plunge, was introduced to music by his father when he was five years old. McGrain first learned how to play the cornet, but by age eleven, he switched to playing the trombone. After playing in bands throughout high school, McGrain continued his music education by attending Berklee College of Music in Boston. A job opportunity took him to Los Angeles where he worked in music production for television and film. McGrain moved back to Boston to work at the college he attended where he created Music Notation, a Berklee Guide. The book, which is on music theory and technique, has been highly rated since it was first published in 1990. In 2018, McGrain released a solo album, Love, Time, and Divination, on Immersion Records. The album was recorded and produced in New Orleans and features pianist Matt Lemmler, bassist James Singleton, and singer John Boutté. McGrain has made his mark on New Orleans and is one of the top musicians playing in the city. Even when he is not performing with Plunge, you can still find him playing regularly at d.b.a. on Frenchman Street. I either make them myself or just happen upon them when I’m out and about. And it is not always on a Monday. I’ll take them whenever and wherever I can, generally with smoked sausage. But when I want a guaranteed superior plate of beans and rice, I make them myself. 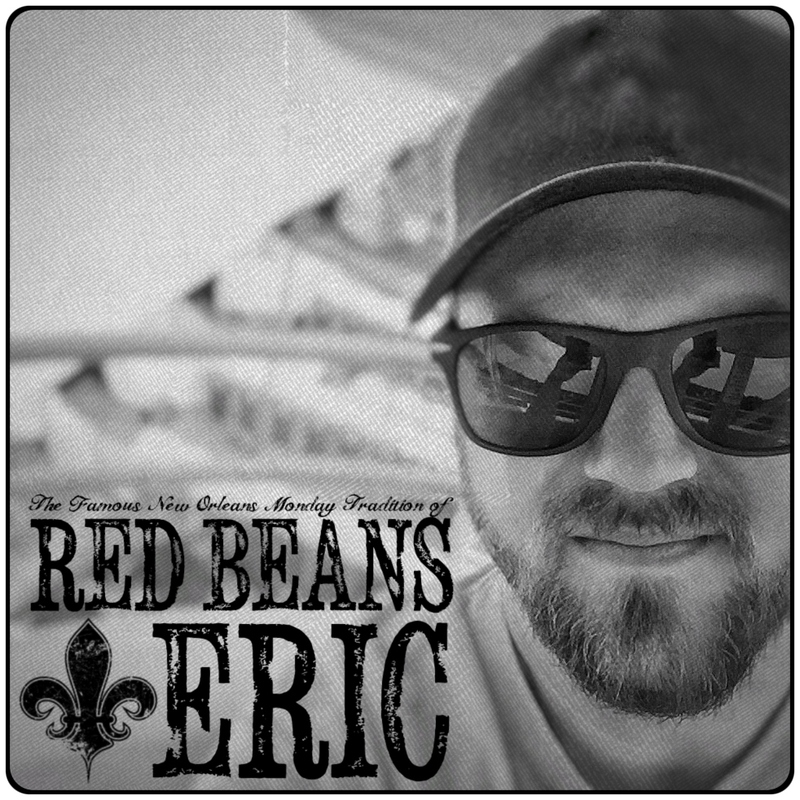 Not growing up in New Orleans, I had only heard about the mythical red beans and rice long before I ever tasted them. What I had heard was that if they weren’t made with pickle-pork they weren’t authentic red beans. Now, in those days, there was no place in western New York where I could taste red beans let alone buy pickle-pork. So I set out on my own to pickle some pork. My first attempt was with chops which I marinated in pickling solution for about a week. I soaked my beans overnight, added my pickled pork chops, onion, green pepper, and celery. The same native New Orleanian who told me about pickle pork also shared with me that they liked to add a half a stick of butter at the very end to make them creamy. So I added a whole stick. 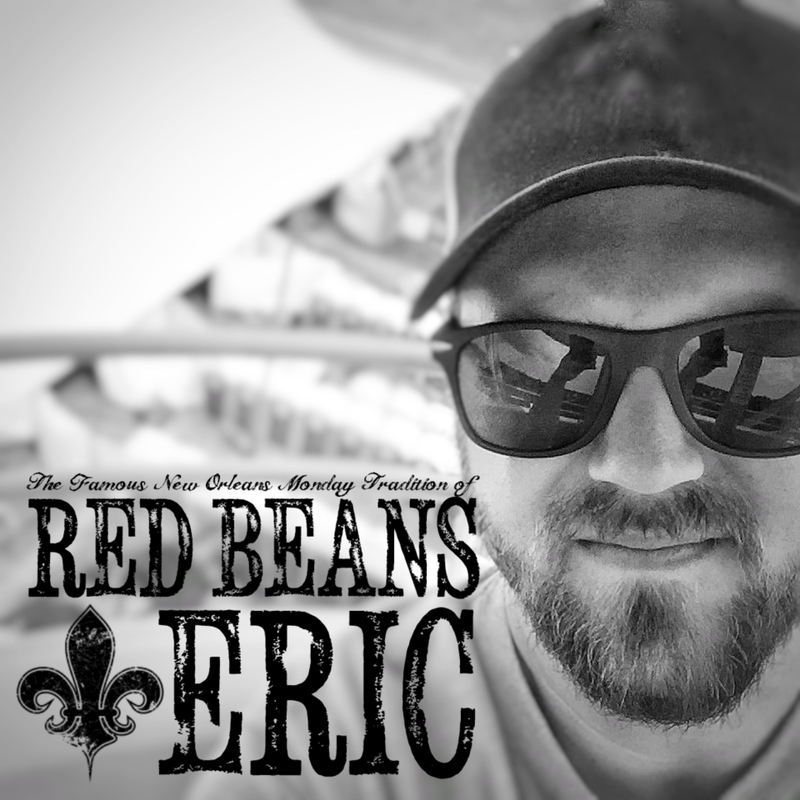 Having never tasted real red beans before, I cooked some up by following rumors and hearsay, and served them to a table of dinner guests; some of whom were from New Orleans, and received compliments on how much they tasted the way they did in New Orleans. Of course they were just being nice but those picked pork chops made all the difference. I worked with that recipe for many years before moving to New Orleans twenty years ago. With plenty of pickle meat available in the local markets. I’ve found no need to mix a batch of picking solution but pickle pork is the absolute main ingredient next to beans. If there were a secret ingredient though. I would have to say it’s the stick of butter tossed in at the very end. Man, it really smooths things out! Beyond pickle pork, I might add some smoked sausage and, of course, a dash of vinegar on the plate but that’s about it. More than WHAT do I eat with them, it’s about WHO I eat them with. Beans are a community food. That is, it takes many of them to make a meal and they’re a meal best enjoyed by people sharing each other’s company. Do you only eat red beans and rice on traditional Mondays? I’m pretty much random-chaotic when it comes to eating anything but I like eating them on Mondays because of the history and knowing that so many of my compatriots are eating them on Monday as well–again community. For more information on Plunge and what Mark McGrain is doing, be sure to follow him on Facebook. For the latest information on Mark McGrain, to hear samples of his music, and to buy his music, please visit his website https://www.markmcgrain.com. Photo credits belong to offBeat.com and theadvocate.com, respectfully.